All the pieces seem to be fitting together in the digital world. I'm a couple of months in on my gig as Managing Editor of The Occasional, and I managed to get our first Buyer's Guide out just before the holidays--with the help of an awesome magazine staff, that is. I kind of did what I always do, blather on and on about the things I like and the things I don't like. They're the ones who did the real work. One bonus of writing about high-end audio again is that I suddenly have a ton of gear in for review, enough for the first half of the year. And I have more gear lined up in the coming months. There's only one regret I have about this wonderful situation is that none of these wonderful products are turntables, tonearms, cartridges or phono preamplifiers. Nearly everything I have in for review right now is, in one way or another, a digital product. For instance, right now I have a headphone amplifier with a built-in DAC, a preamplifier/DAC/headphone amplifier/phono stage and an integrated amplifier with a built-in DAC. On the software side, I've been streaming Tidal through Roon, and I've just added Qobuz, a hi-rez streaming surface that is just now arriving in the US. I've flung myself whole-heartedly into the digital world and, amazingly enough, I'm starting to feel comfortable with all the possibilities. I'm able to listen to great-sounding music in a number of ways--everything from my laptop, an Audioquest Dragonfly and a pair of Cardas Audio earbuds (for music on the plane), to a headphone-based system in my office where I can work while listening to music, to the main system where I can do all of those things via my home network. And yes, I'm staring to fall in love with this stuff. It's so fun. Best of all, it's getting much easier to use--especially for someone like me who feels IT is anything but second nature. I'll tell you the exact moment when I gave in to this digital seduction. I've been able to try out the Qobuz streaming service on a temporary basis since I'm once again a full-time member of the press. I was so busy with covering trade shows through the fall that I didn't get a chance to download it for a few weeks. When I finally got everything up and running, it was around the time The White Album 50th Anniversary reissue came out. I was able to listen to it through a pair of headphones, run through the DAC of a headphone amplifier and straight into my laptop. I couldn't believe what I was hearing. This is an album I've heard a couple of hundred times over the course of the last 40+ years of my life. I own three copies of it--a horrible-sounding CD from the ‘80's, the vinyl LP I've owned since I was a teenager, and a pricy Japanese pressing that sounds really nice. Not perfect, but nice. Listening to the new remastering was downright shocking--the familiar became the unknown. There was so much more to listen to, so many new snippets of sound I've never noticed before, little details, and the occasional voice that told me something new about The Beatles. Sorry, I don't like to talk about the Beatles. But think about this: “Revolution #9." You know what I'm talking about. As the post-holiday dust is starting to clear, I'm starting to ask myself a question--have I noticed that I'm listening to far less vinyl than before? I am. I've discussed this before, but there have been sporadic imbalances in my digital-to-analog listening ratio over the years, something that's usually prompted by a major upgrade to a source component. Buy a new turntable? The CD player gets covered with dust. Trade your $1200 CD player in on a $6000 one, and your record cleaning fluid evaporates because you left the cap off for months and didn't notice. You see what I'm getting at, right? Yeah, I should buy a new turntable. I've been talking about getting that last turntable, the one that I can use for the rest of my life, for at least three years now. And last year, I hinted that I was actually so pleased with swapping tonearms on my current rig that I no longer care so much for a new ‘table--although I'm sort of in the market for a new cartridge. I own two--the Transfiguration Axia and the Denon DL-103. Both present an issue--the Transfiguration needs a re-tip, and the Japanese gentleman who owned and manufactured Transfigurations, one by one, passed away a while ago. I think the world of the Denon DL103, but it costs about one-tenth as much as the Axia, and I don't think manufacturers will want to send me a big analog rig if I'm going to mount a $350 cartridge on it--even though it's my favorite cartridge at anywhere near its price point. Since I can't get the Axia re-tipped by the same gentleman who made it, I am going to follow everyone's advice and send it to Peter Ledermann of Soundsmith and have him do it. I've been wanting to send a cartridge to Soundsmith for at least a decade, and this is my chance. He offers a big variety of cantilevers and styli, so I might even splurge and get the best. After awarding the Cartridge of the Year to modded Denon DL103s, I'm going to put my money where my mouth is and try one of those replacement 103 bodies made by MusicKraft in Canada. I mentioned MusiKraft in my last column, and one of my longtime Facebook friends, Guy Pelletier, turned out to be the gentleman who runs MusicKraft. “You used one of our photos!" he told me on Facebook, and I was worried that I would have to remove the image because it was copyrighted. No, he didn't mind because I was spreading the word. So I think it's fair that I walk the walk when it comes to these 103 bodies. Best of all, both projects will cost just a few hundred, much less than a re-tip from the Transfiguration factory in Japan or a brand new cartridge. Throughout the year I'll keep everyone updated on the projects. We'll see if that stops me from wasting hours streaming all those digital services, playing DJ for myself. I did want to mention one more thing concerning getting all fired up about vinyl again. I think I finally know what my dream turntable is, the one I want to post on my vision board next to the picture of a Porsche Macan S Turbo. 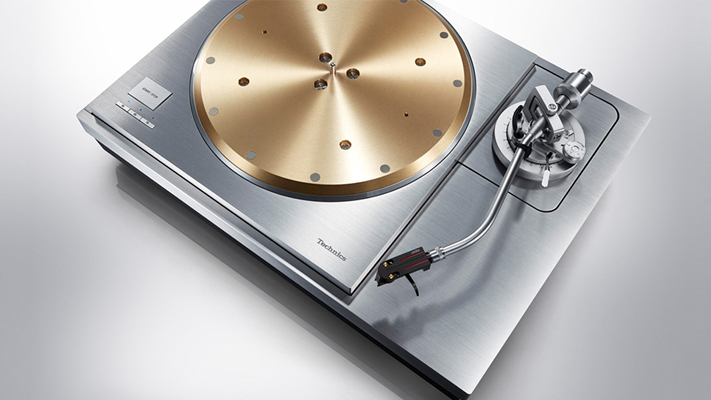 I want the new Technics SL-1000R turntable with tonearm, with a Koetsu Blue Lace Onyx Platinum cartridge. I've been thinking about the new Technics turntable line ever since I listened to the Technics SL1200G at the home of Scot Hull, the publisher of The Occasional and Part-Time Audiophile. I loved the sound of his rig, and I asked him what cartridge he was using, and he replied that he had mounted a Miyajima on it. 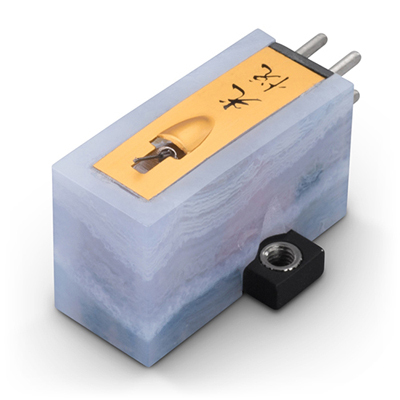 I thought about the brilliance of this, a precision-made turntable that measured great and was formed from solid, gleaming metals with incredibly close tolerances, and a wooden-bodied cartridge made by one of those Zen masters in Japan, the type made one at a time with great care from a true artisan. Quite simply, the 100 lb. SL1000R with its gleaming copper and stainless-steel surfaces, mated to cartridge with a body made from iridescent blue onyx... it's the yin and the yang and it plays records. I haven't heard the combination. I've only seen it in my head. It's beautiful. People walk into your house and it's the first thing they notice. It draws you in. It's a bold conversation piece, and people will want to touch it and perhaps even listen to music that is played on it. And that kind of wild, passioned vision, dear readers, can't be said about a digital streaming service.